In 2009, I published my first book Mauritius Underwater, a comprehensive companion to the underwater world of Mauritius, featuring a complete fish, crustacean and nudibranch guide. This book was an immense success in Mauritius and abroad. 10 years later, I finalized my second book, together with the association “Images Ocean” and “Les Editions Orphies” from La Reunion. With great pleasure and pride, I am pleased to announce the release of my new book: “Mauritius Underwater”. The book includes underwater images from the North, East, South and West of Mauritius and as well includes a complete fauna and flora guide, which can be used to identify fishes and other marine creatures. I feel honored to have an editorial from Laurent Ballesta, a well-known and much respected French underwater photographer and marine biologist. 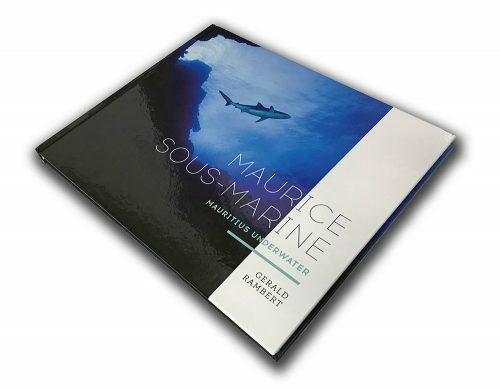 Mauritius Underwater is retailed at about 20 euros and you can purchase and get it signed by Gerald at the dive center directly.